Larus cachinnans 6CY female 740P May 2005, Włocławek Reservoir, central Poland. Picture: Magdalena Zagalska-Neubauer. 6CY female Caspian Gull Larus cachinnans, trapped in Włocławek Reservoir, central Poland, 52°39'N 19°08'E, May 07 2005, controlled at nest with eggs. This bird had been ringed as a pullus (Kiev L-002483) in Dnepr River, Kanivska GES, Cherkassy district, Ukraine, 49°46'N 31°28'E (917 km away), May 23 2000. 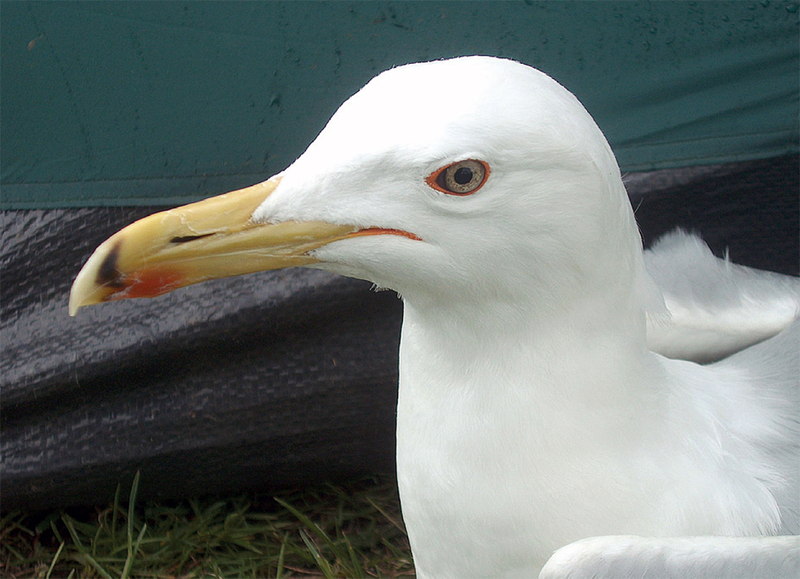 It shows typical characters of Caspian Gull: medium dark iris; dark orange eye-ring and gape; bill-shape index of 3.11; and characteristic pattern on outermost primary – deep, whitish tongue on inner web, subterminal black area measured at 30 mm along the shaft and a pure white tip, 63 mm long. 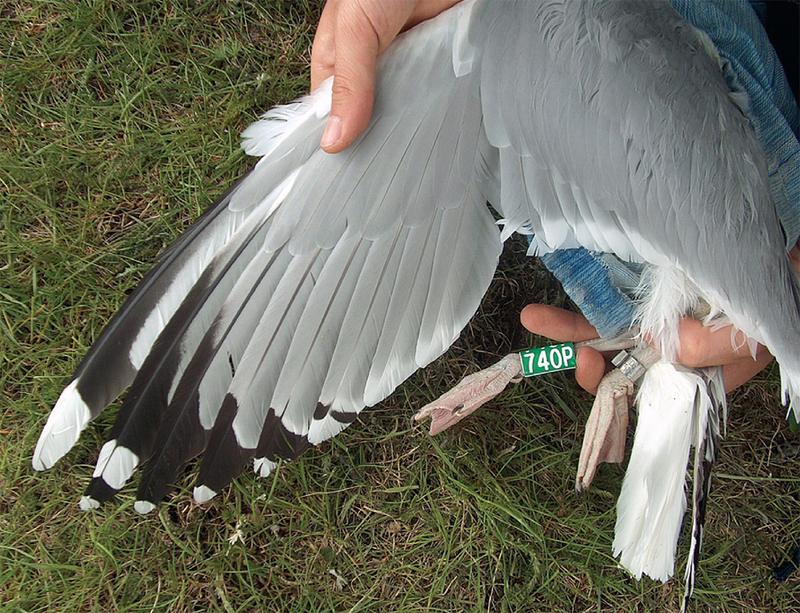 This Ukrainian ringed bird was trapped at Włocławek Reservoir in 2005, where a colony of some 125–130 pairs have bred since 1999 (the colony was first established in 1985). Many of these are Herring Gulls; Caspian Gulls and mixed pairs (Herring x Caspian) constitute less than half the colony, although the numbers of Caspian Gulls increase each year. The Ukranian ringed female was paired with a male Caspian Gull and laid three eggs; two young hatched successfully (on 8th and 9th May) and both were colour-ringed on 25th May. Despite intensive fieldwork, the female was not seen in 2006 or 2007, although its mate in 2005 was seen many times, apparently paired with another female. Here, 8 traits are visible from the image, score so far is 6, with theoretically another 2 points possible for leg length: perfectly low score indicating pure cachinnans.